Getting the right gift for some people is almost impossible. If the man you need to buy for is one of those guys who seemingly has everything, or if he never seems to get excited by anything, then what to get him can be a very difficult thing to work out. Things like money and vouchers really lack thought, although they might be convenient and well received. Booze is the safe option but it is also rather too easy and lacking in thought. So what to do? Where to start? The key really is in that word thought, think about the recipient and then bring some imagination to the party. Here’s our guide to gifting, and some ideas that your man almost certainly wouldn’t have seen coming. Everyone has hobbies and most people are well equipped and stocked in the areas that they see as their speciality. But there are always options. Let’s say you need to buy a gift for a guy who likes camping. He has tents and cookers and a fancy pocket knife. He seems to have it all. But delve a little deeper. 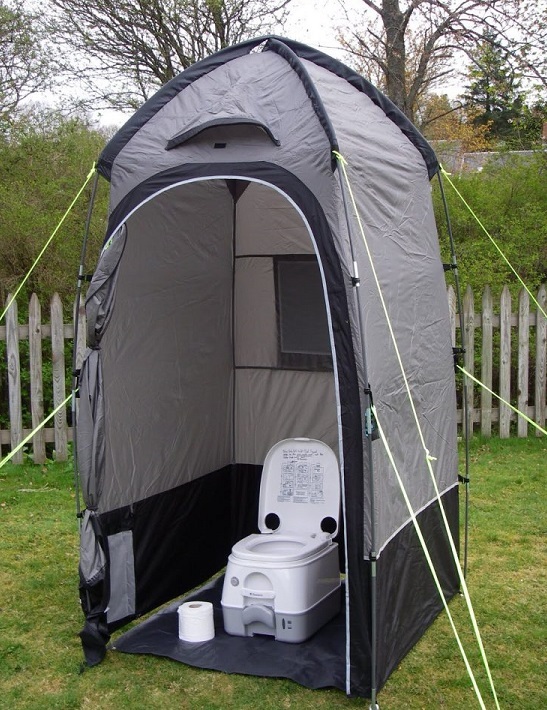 How awesome would it be if you found a place that had portable toilets for sale? Sure it’s not the most romantic of gifts, but it’s fun and it plays to his interests and it will be a talking point for years to come. It’s all about thinking within the parameters but a little outside the box at the same time. One of the joys of getting gifts as a child is that they are opportunities to fuel the imagination. As you get older your gifts are things that already have a purpose. Where something like a tennis racquet is used for playing tennis, a doll is an entry point into a whole imaginary world of parenthood and make-believe. So what are the adult equivalents? How about something like a Frisbee? Anyone can throw it and you can have endless amounts of fun making up new and exciting games to play with it. There are no rules, and it’s cheap! Buying a gift is one thing, but making something is next level. How about talking to your mates and organizing a work party. Maybe you make a plan to get to his house early and to start working in his front garden. Mow the lawn, sweep the drive and plant a tree. Do the chores he knows he should have done but didn’t have the time to do. And bring the ingredients for breakfast as well so that by the time he wakes up, he has a nicely cleaned front yard and a good fry-up waiting for him along with some fresh coffee (or beer if he prefers to start his birthday that way). Everyone has glasses for drinking out of, but not everyone has properly fancy glasses. This is largely because fancy lead-crystal glasses are usually very expensive. But the truth is glasses don’t actually need to be bought as a set. You can buy them individually and that is exactly what you should do. Instead of taking your budget and dividing it several times over by investing in a set of glasses, spend it all on one. What is his favourite drink? Beer, whiskey, brandy, port, sherry, champagne are all drunk out of different glasses. Do your research and buy the best glass out there. He’ll think of you every time he enjoys a drink while you travel and it will always be from a one-of-a-kind, unique glass that only he has.